Found 2 file extension associations related to KGB Archiver and 2 file formats developed specifically for use with KGB Archiver. 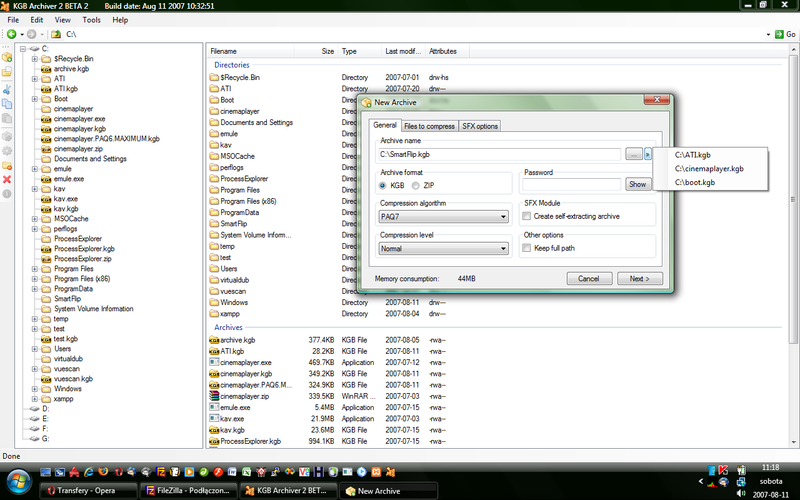 KGB Archiver is the compression tool with unbelievable high compression rate. It surpasses even such efficient compression tool like 7zip and UHARC in terms of the abilities. Unfortunately although its powerful compression rate, it has high hardware requirements (I recommend processor with 1,5GHz clock and 256MB of RAM as an essential minimum). One of the advantages of KGB Archiver is also AES-256 encryption which is used to encrypt the archives. This is one of the strongest encryptions known for human. If you need more information please contact the developers of KGB Archiver (Tomasz Pawlak), or check out their product website.